World Championship Race & Long Jump Results! 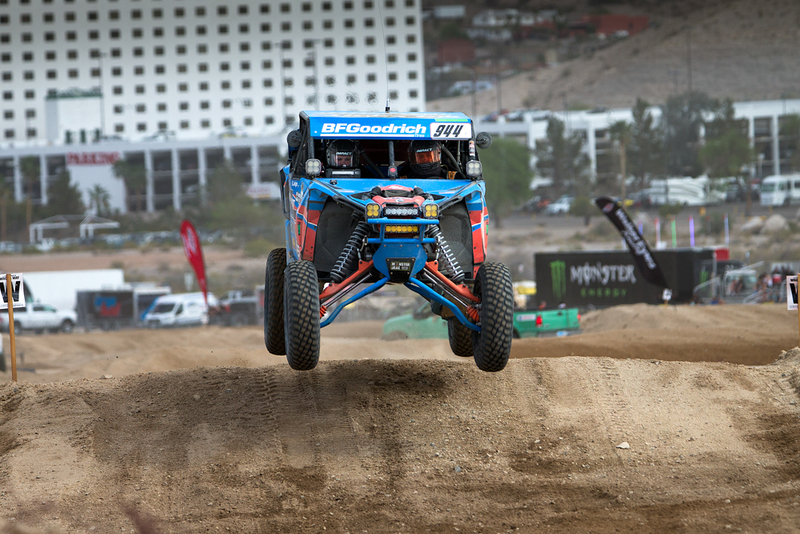 Our trip out to the 2018 UTV World Championship was packed with action. 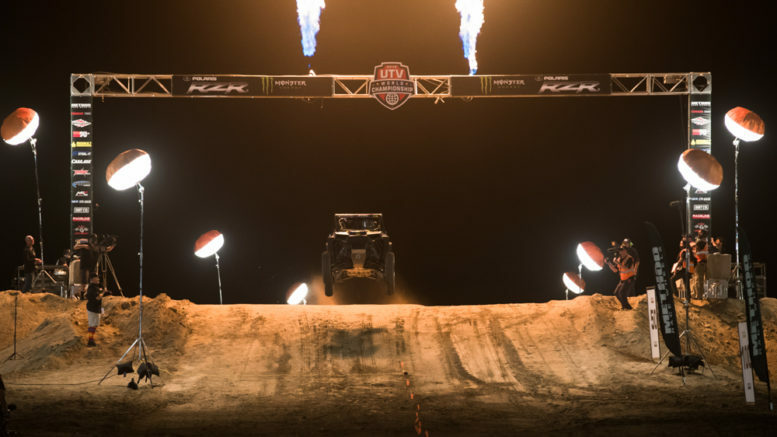 We drove cross-country, met with fans and industry insiders, went on rides, sponsored a lump jump contest, participated at the race contingency, and had a blast the whole way. Videos from the entire trip will be up on our YouTube channel soon, so subscribe if you haven’t already! Thursday night got things kickin with the Method Wheels Laughlin Leap. 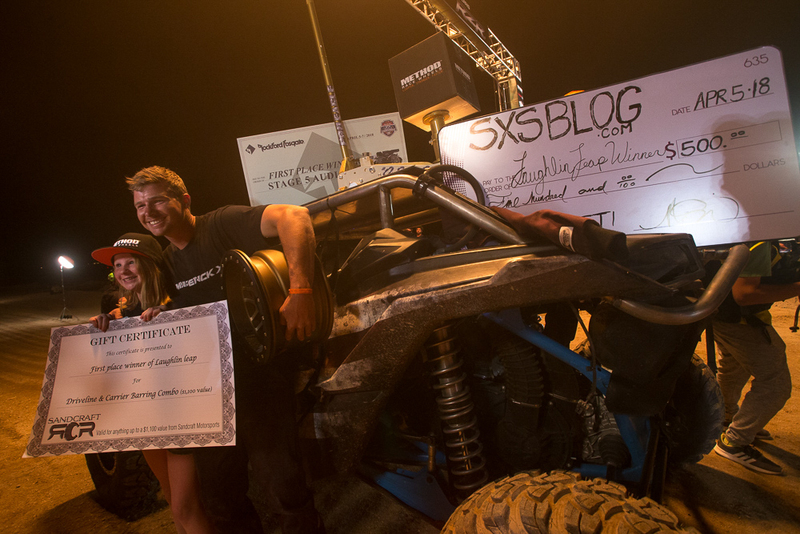 Since jumping stuff is close to our hearts, we managed to muster up $500 as a cash prize to the winner. Our “Sender in Chief” Nick Sous was going to enter the contest but lacked the aluminum roof necessary to meet the safety requirements. We won’t let that happen again. Anyways… the contest jump was the finish line for the short course / desert race, and besides bravery, horsepower was the big requirement for sending it huge. 32 competitors entered, but in a bit of an underdog story Cole Freiday from Arizona came out on top with a 118 foot leap in his “stockish” X3, with the nearest competitor being almost 12 feet behind. The main event on Saturday got started with the short course race which Dustin Jones from S3 Power Sports promptly ran away with. After some late night thrashing the day before to correct some turbo issues, Dustin jumped out front in his X3 from the start and never looked back. From the sidelines it was obvious after the first lap that nobody was catching him if his rig stayed together, and it did. 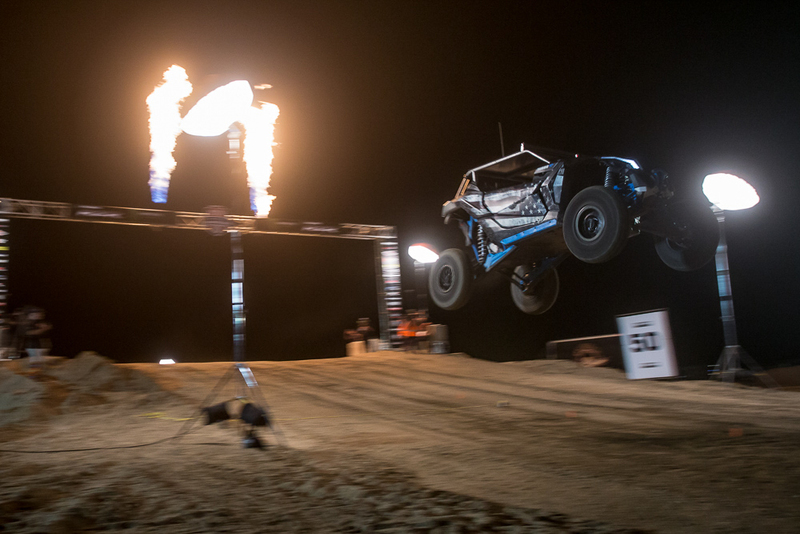 If you follow desert racing at all, you’ve been hearing this name quite a bit… Phil Blurton. The defending BITD champion took the top podium spot, again in an X3, for his first win of the season. On a track which racers were saying was very rough, Phil credited his car’s ability to manage huge whoops and nasty chatter bumps in the win. 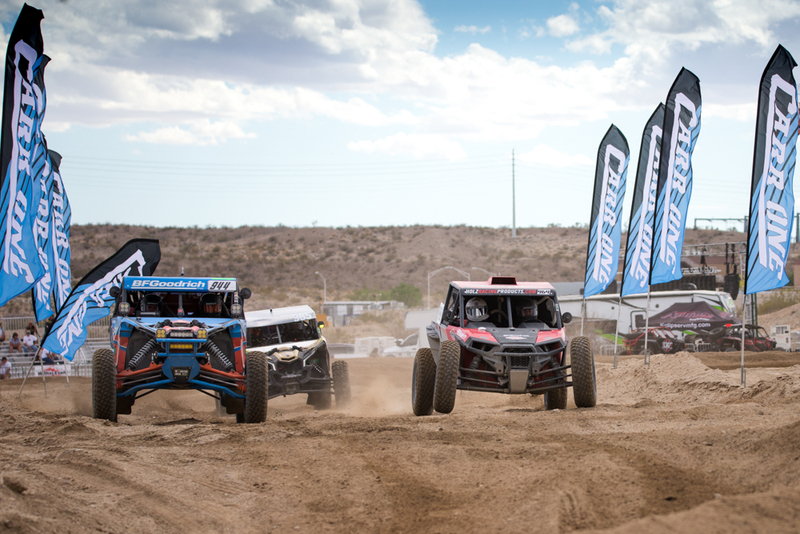 Despite starting second row in heavy traffic and on a rough course, Shelby Anderson piloted her team to a win for the RZR camp in Production 1000. Carnage was heavy but Shelby found the right lines and the right combination to go fast and also keep the car together. 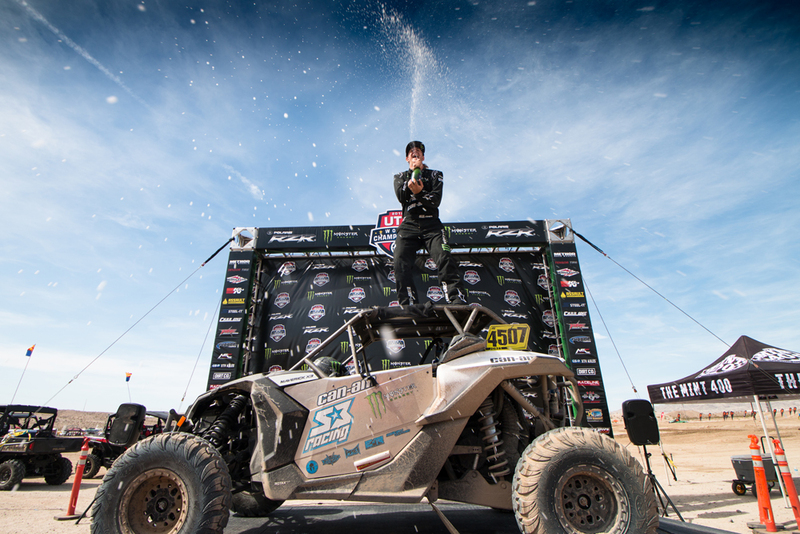 From an OEM perspective you’d have to chalk up the win to Can-Am, taking both the big desert and short course races, as well as the long jump. The competition among brands however was strong, and we were impressed at the lever of support Polaris committed. It’s pretty cool to see an event of this caliber that is SXS specific, and we’re certain that it’s going to keep growing. 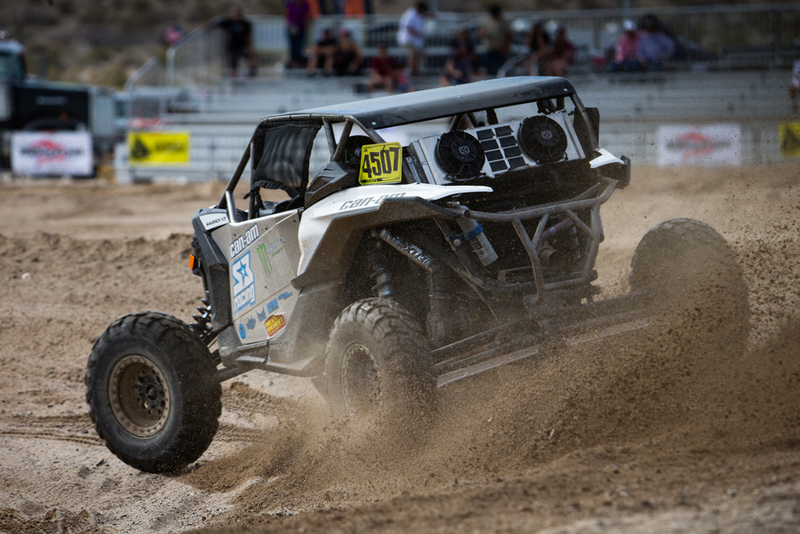 For spectating it is one of the best desert races we’ve seen, with nearly constant action that is conveniently located. Definitely keep this one in mind for 2019. Questions? Comments? Hit us up below or on our Facebook page, and don’t forget to keep an eye on our YouTube channel for a more detailed trip review! 5 Comments on "World Championship Race & Long Jump Results!" I noticed that SxS Blog used a Duramax 2500 HD to tow your new trailer to the championship races. How did this rig do on this trip? Just curious. Loved the tow rig (2500 HD Duramax). How did it work for this trip? Amazing videos and great information. Doug, Nick, the other Nick way to go and love the rigs.